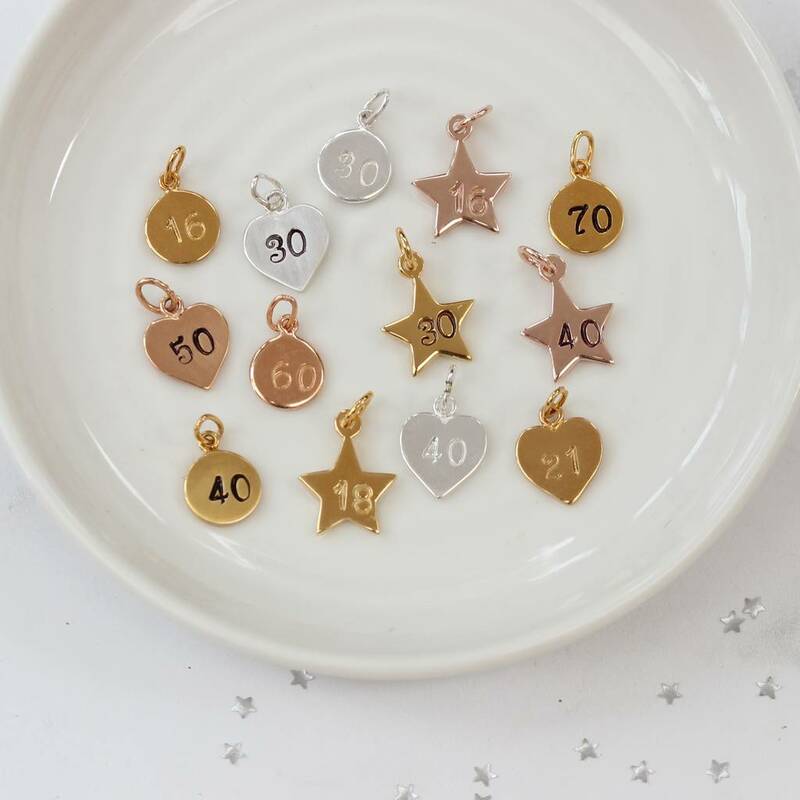 Each number is hand stamped and patinised (black finish) so it stands out, or we can leave it silver or gold (clean finish) the numbers are approx 3mm high. 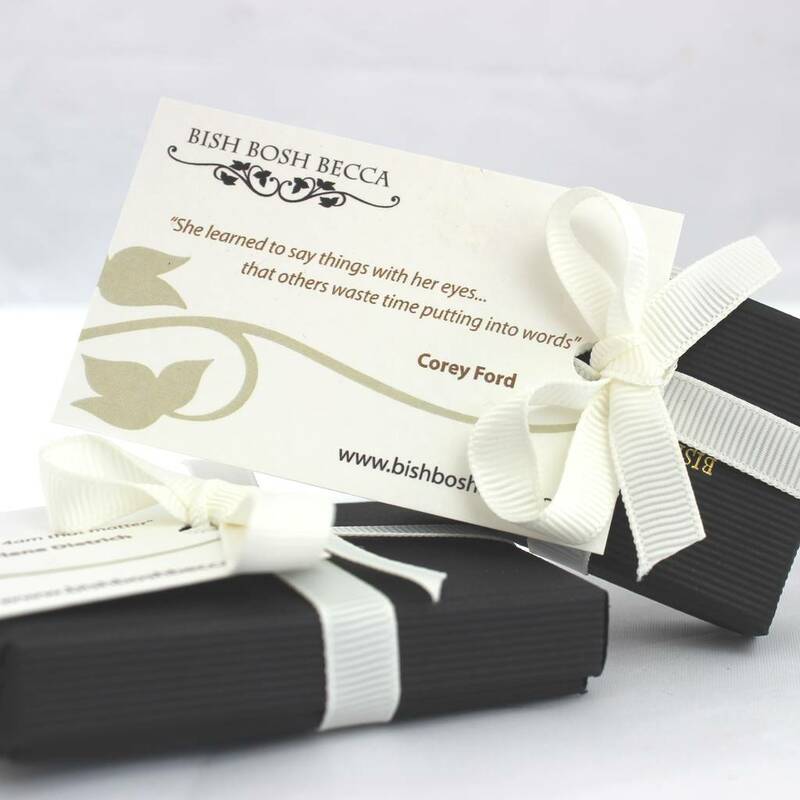 Your charm will be beautifully wrapped in a black box, tied with ivory ribbon and a gift card enclosed. If you are ordering this charm at the same time as a Bish Bosh Becca necklace just select the gift wrap option to add to necklace. We will then know to add it to your necklace. 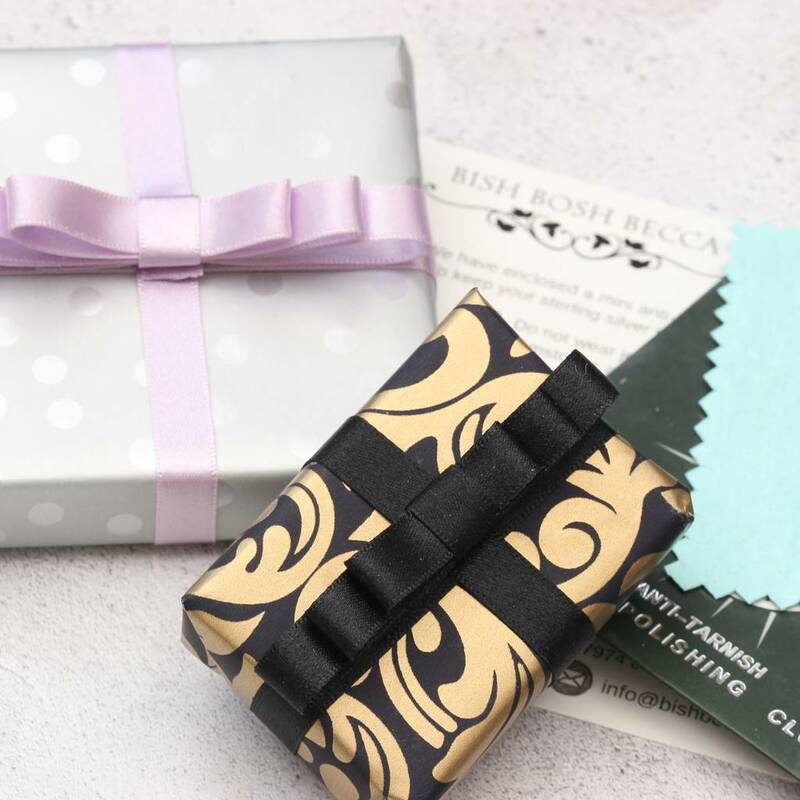 If you choose this gift wrap option and haven't ordered a necklace at the same time from us, your charm will be sent on a little plastic bag. Orders can also be wrapped in luxury black and gold paper and finished with a black satin bow and gift card, or silver paper finished with lilac satin ribbon and gift card. There is a small charge per item for this service. Sterling silver, rose gold plated sterling silver and gold plated sterling silver (vermeil). 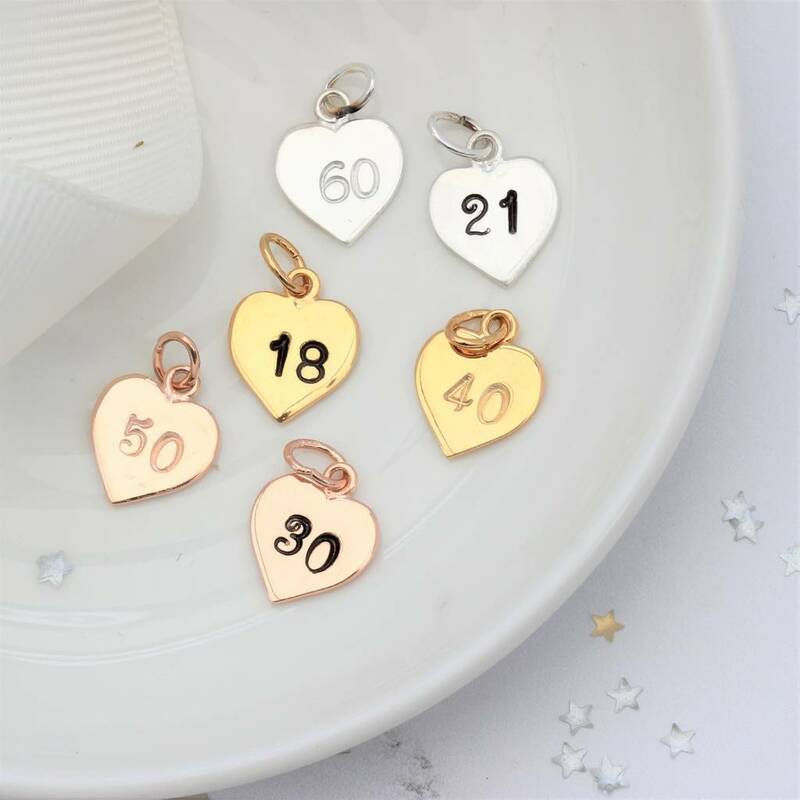 The heart charm is approximately 1cm with the loop it hangs approx 1.3cm from the chain. 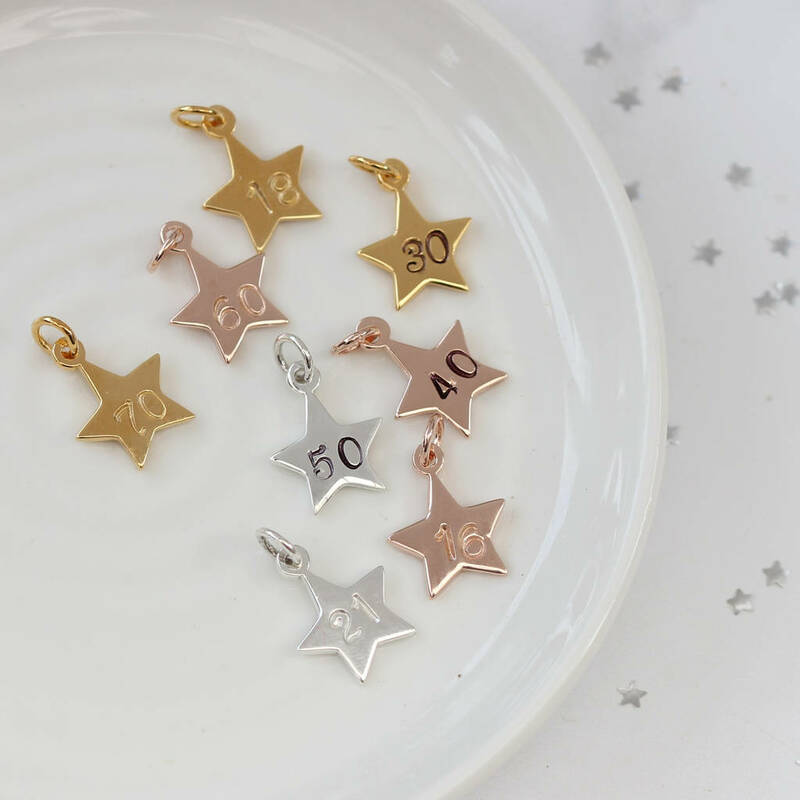 The star is approximately 12mm, with the loop it hangs approx 16mm from the chain. This product is dispatched to you by Bish Bosh Becca.